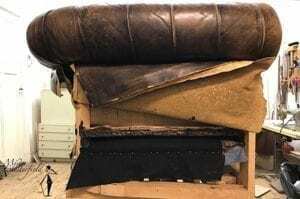 We provide repair and restoring of your Chesterfield. This is a job for the craftsman. The appearance of the furniture over the years is therefore something to cherish. The base of an old Chesterfield is usually fine for many years to enjoy. Want to know what the recovery of your Chesterfield costs? In many cases recovery is a lot more economical than buying new ones. Call us at 070-395 07 66 or come along. You are very welcome! Intensive cleaning, washing and disinfecting of the buttonholes and pleats is a very intensive but not superfluous job. In addition to the history of previous owners (and / or pet), they remove from all over the years, and possibly, improper maintenance resources. These can contain chemicals that can have a bad influence on the leather. Please contact us for more information and possibilities. The suspension in your furniture can become sluggish or break. The price is strongly dependent on various factors and applied suspension. In addition to disinfecting, sometimes the replacement of the towel may also require lining. • Fire holes of, e.g. a cigarette. • The "digging" of pets between the pillows. • If a poor quality of fabric is applied. 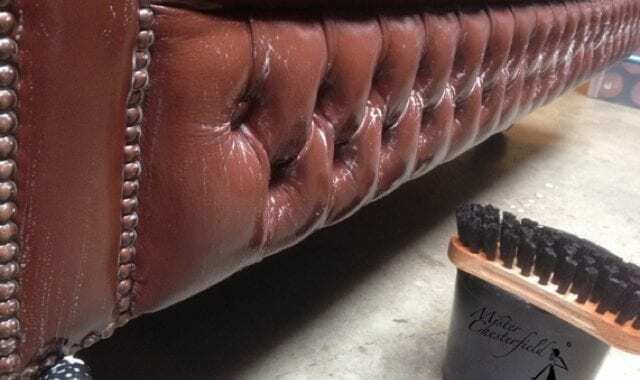 If updating your leather Chesterfield pillow is no longer a option, we can restore it for you with a nice identical atmosphere. Not a brand new pillow in an old Chesterfield so. 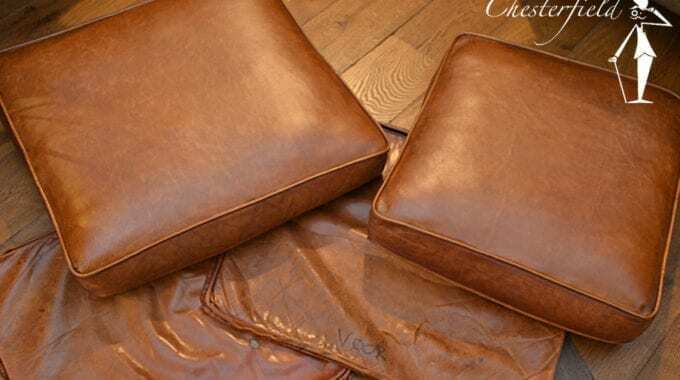 To determine the correct atmosphere and structure of the leather, it is nice if there is an original pillow for hands. We can usually realize this within three business days. You can also get cushions for loan during this period. After replacing the worn parts we can mix the right color pigments and wash it all in color. Finally, the furniture will be treated for preserves, after which the leather can last for many years. We buy, clean, repair, repair and restore old Chesterfields. 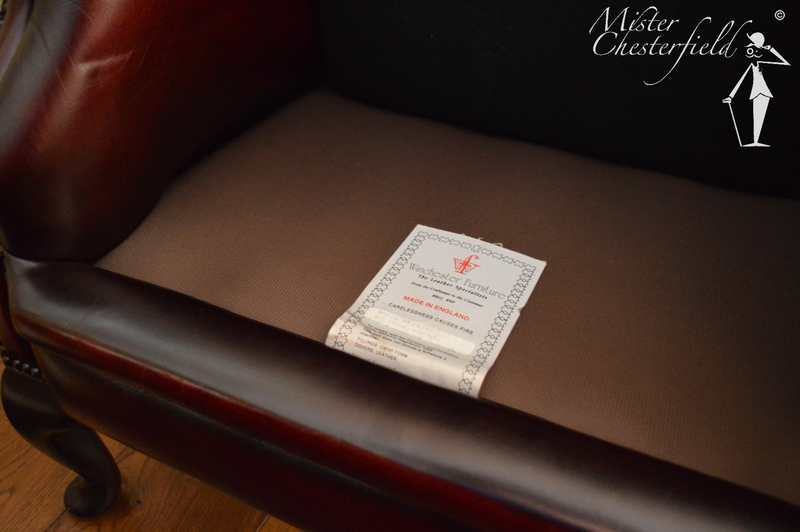 With much love, Mister Chesterfield takes care of the repair of your beloved Chesterfield bank. These vintage used Chesterfields have had a beautiful rustic, characteristic appearance over the years. This appearance needs to be cherished in a restoration, if it gets a spray paint as quickly, it is done with the furniture. The atmosphere is gone and the doctrine is "dead" and negligible. We can imagine that with long-lived Chesterfield you have a somewhat nasty thought. Perhaps the cripples get the traces left by the previous owner or his pet. Not completely wrong! 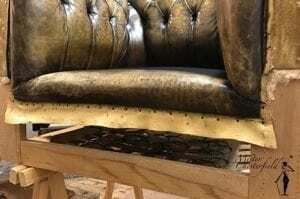 But there is a big difference between how to buy and sell the used Chesterfield bench, chair or armchair. 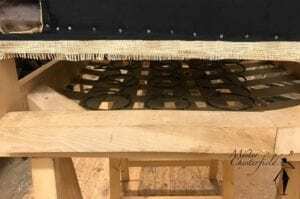 The thorough cleaning and washing of the buttons and pleats are standard work we do. Parasites, etc., can enter your house through a furniture. 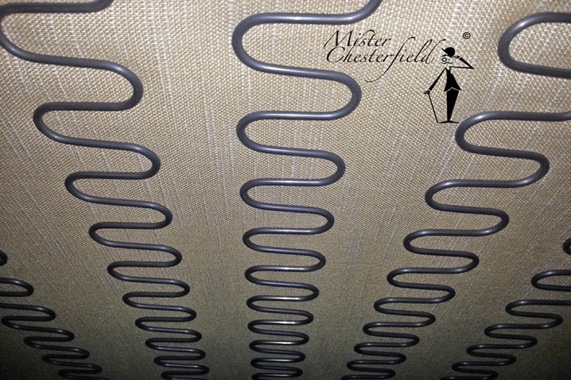 Because a Chesterfield has a lot of pleats and knots, we think it is important. We will not remove your appetite but disinfection is highly recommended! On this page you can read about (and see) more about how we work, and what's the difference with a furniture that is used for the room. We take care of the full. Did you know that we can also add or expand your existing Chesterfield set with new or used items, all in color and atmosphere? Call 070-3950766 and ask us for the possibilities. Do you think '' a Chesterfield bank second hand might be interesting for me at home ''? Come on, we'll love you with your ideas. Restored and used Chesterfield benches, chairs and armchairs for fans. Replacing seat cushions is still a great way to refresh your existing Chesterfield. On this restoration page you can see several examples of how beautiful this is. 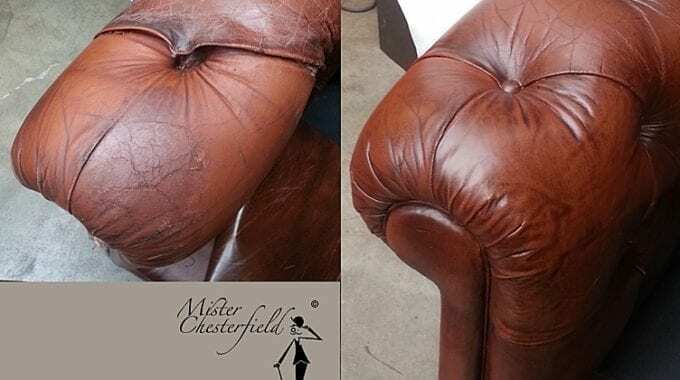 In addition, Mister Chesterfield can restore an old (sit) furniture (a Chesterfield chair, desk chair, armchair, sofa, etc.) for you to enjoy it for years to enjoy. Not only can we restore the outside but also the inside. In addition, we can renovate your old Chesterfield bank for you, so that it looks clean, yet retains the authenticity of a classic Chesterfield bank. If your Chesterfield bank does not fit properly, we also have a solution. We can customize your bank so that the seating comfort is significantly improved and the appearance is maintained. We think of your experience from our many years (decades!) Experience. Your Chesterfield furniture can last a long time! 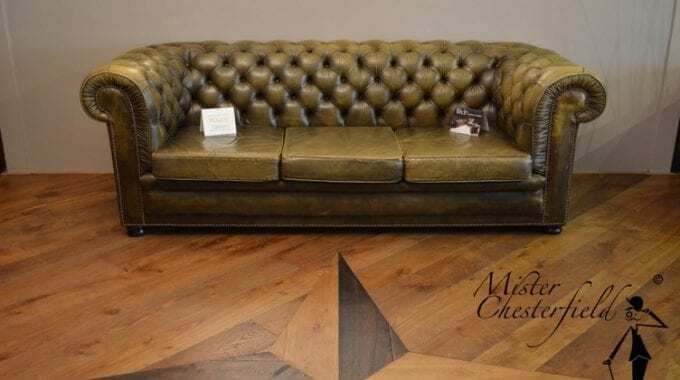 Your used Chesterfield furniture we can renovate for you. Thus, we can replace the leather when it is worn by old leather or new leather with a light-lived structure. 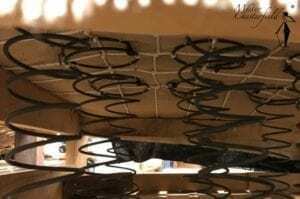 Improving the seating comfort when it is deteriorated is also possible. Hereby, we keep in mind that the character and appearance will be retained and you will get a much better seating comfort. In addition, we ensure that its appearance is maintained and you can enjoy years of renewed seating pleasure. Is your Chesterfield so not good, we can adjust it so that the appearance is maintained, but significantly improves seating comfort. Is leather Chesterfield your broken or worn out, we try to replace them with old leather or new leathers that have lived a light structure.